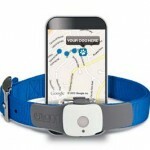 The Tagg Pet Tracker is one of the most popular pet tracking devices. It’s made by Qualcomm, the world leader in mobile technology. Tagg falls into the cell based tracking system, and provides free tracking apps for iPhones and Androids, which, in addition to helping you find your lost pet, can also be used to find nearby vets, dog parks, and pet stores. The tracking device weighs all of 1.1 ounces, attaches securely to your dog’s existing collar, and is rugged and water resistant which means it will survive your dog’s daily activities, from swimming to rolling around in the dirt and mud. It can be used on dogs and cats weighing over 10 pounds. The battery lasts up to 30 days, with the self-monitoring Tagg tracker notifying you when the battery runs low and needs charging. Set up with Tagg is easy. You simply create an account and activate your Tagg Pet Tracker. Using the provided software, you then set up a geofence which is the area where your dog belongs, such as the house or back yard. When your dog wanders out of the geofence perimeter, Tagg will alert you via text or email, whichever you prefer. You can then pinpoint your dog’s location on the Tagg map, using your computer, mobile device, or the free Tagg mobile app. You will be provided with driving instructions to locate your pet and bring it back home safely. You can also text LOCATE to 52366, and you will receive a text with the address of your pet’s location. You can also see the route that your dog took to get to its present location. One of the drawbacks to Tagg’s geofence is that it’s minimum virtual boundary is about 4 acres, which means your dog could be far down the block before you are alerted that it has left the boundary you set up. A unique feature provided by the Tagg Pet Tracker and not available on any other GPS dog tracking devices, is its ability to track your dog’s activity level. You can track every run, snooze, walk, and sniff, no matter where you are. Vets recommend that dogs get 30-60 minutes of daily exercise. With the Activity Tracker, you can track your pet’s daily activity in one simple view, compare your pet’s activity levels from one day to the next, and spot long term activity trends. You can be proactive with your dog’s health by sharing the findings with your vet to determine if there are any problems, or if your dog requires more activity. Whether there’s a problem or everything’s fine, you’ll know. 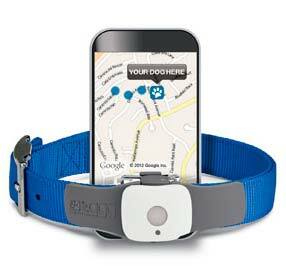 The Tagg Pet Tracker comes with 3 months of free service and provides coverage nationwide in the United States.